Warehouse 2301924 724523work Concert HallWarehouse 23 is Wakefield's Biggest Live Music and Entertainment Venue. A state of the art venue located near the city centre, Warehouse 23 hosts a variety of small music festivals, high profile gigs from legendary bands and artists and numerous gigs featuring contemporary styles of music and platforms. Warehouse 23 prides itself on offering great evening entertainment and live music for all different kinds of audience who walk through their doors. 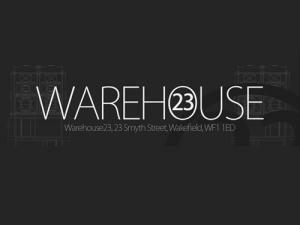 Warehouse 23 is Wakefield's Biggest Live Music and Entertainment Venue. Check out their website for the latest upcoming events and more happening in 2017.